Third Eye Chic Fashion - kids fashion and lifestyle blog for the modern families: On keeping a reading log! My husband and I decided to read two books each per month at the beginning of 2018. Given my track record over the past 3 years, I thought even two books/month was an ambitious goal. Well, even now as January comes to a close, I have barely read 10 pages! I used to be good about reading regularly until about 2-3 years ago but nowadays, in my (nonexistent) free time, I am either catching up on emails or spending time planning our social calendar or signing up kids for various activities/camps. If I’m lucky, I get to catch up on a show (just finished Stranger Things 2 and looking for the right one to start!). A few days ago, my 1st grader gave me an idea! 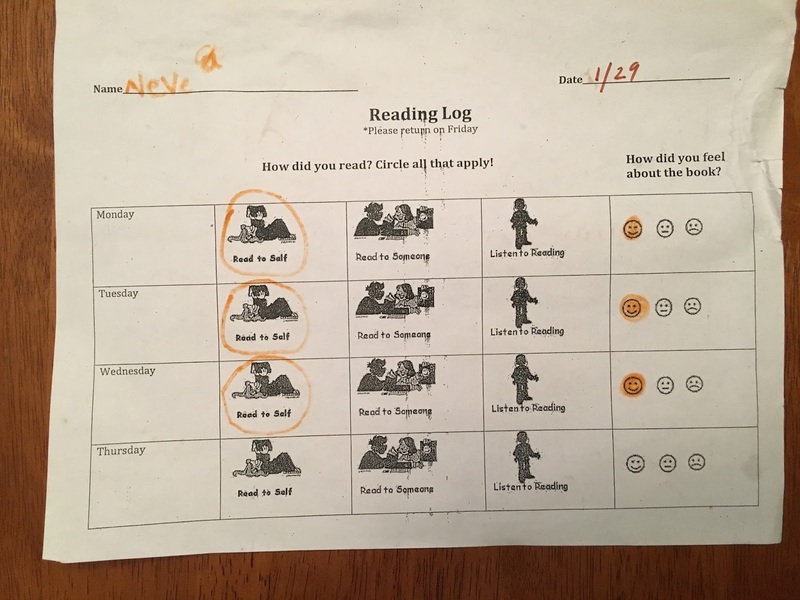 She gets a reading log from school every Monday. And she has to fill it out and turn it in every Friday. This past Monday, she was just wiped out by bedtime and could barely keep her eyes open. She NEVER wants to skip reading but that day, all she wanted to do was to go to bed. 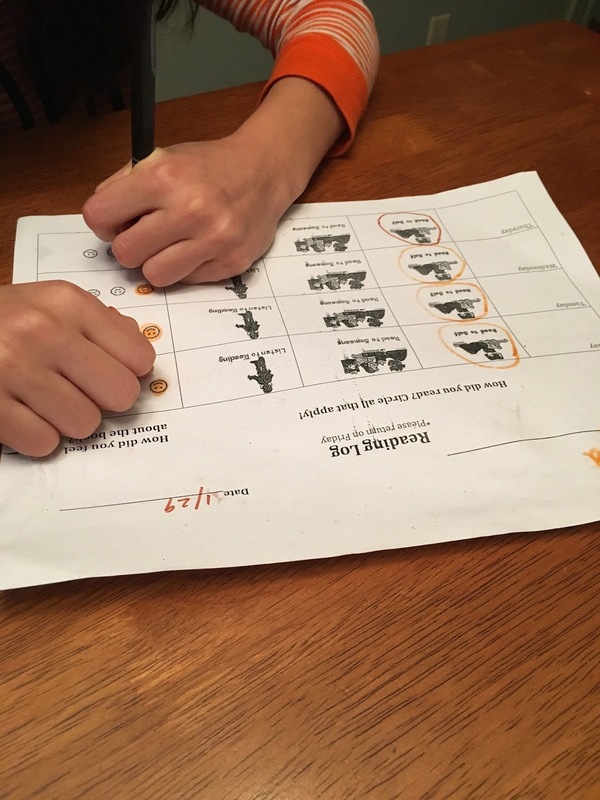 She suddenly realized she has to fill her reading log and said “I’ll quickly read a few pages, mama.” The reading log kept her accountable and despite being so tired, she got her reading motivation back! This incident, and the desire to consciously carve out time for reading, sat well with me. I have decided to start keeping my own reading log. It’s not a groundbreaking idea but I thought I could make a photocopy of my daughter’s blank log and we could both fill it together every morning. Would also be a fun thing to do together! My husband tries to keep me accountable, however, he often travels for work and it’s really tempting to catch up on emails, to-do lists, blog posts, etc. instead of reading before bedtime. I’m excited to start this new routine and get back into reading! I may read on my Kindle app or a real book, but my requirement is it has to be a book and not a news article or a blog post. How do you carve out time for reading in your busy schedules?